This week's Dvar Torah is by Aron Grossman, former Shaliach in Perth (2016-17). Rabbi Akiva teaches us that every letter in the Torah has a reason, and the commentators certainly had this idea in mind in their explanations of Parshat Trumah. Every vessel, every measurement, has a reason, is a metaphor for something bigger, a part of our spiritual world. For example, the Mizbeach represents atonement, the Shulchan physical desires, and the Aron HaKodesh, the most hidden and unreachable vessel, represents the Torah or the spiritual part of Judaism. If we take a look at the attributes of the Aron, we can obtain some understanding of the Torah and the spiritual nature of Judaism. As the Kli Yakar notes, the Aron HaKodesh is measured in fractioned units (two and a half cubits etc.) to show that perfect spirituality can never be obtained; man can never reach the limits of his spiritual being, there is always more Torah to learn, always higher levels to reach. The Aron is kept in the Kodesh Hakodeshim, the innermost chamber in the Beit Hamikdash, where only one holy man may enter once a year, and only then after purifying himself days before mentally and physically. The Aron is protected symbolically by two Cheruvim, marking the contents inside the Aron as inaccessible, closed. This seems to show that the Torah is esoteric, only for the elite few, something to keep from the masses. Yet the Kli Yakar notes that the only vessel in which God commands Moshe “וְעָשׂ֥וּ אֲר֖וֹן עֲצֵ֣י שִׁטִּ֑ים”- and they should make the Aron, seeming to imply the people, is in the Aron HaKodesh. Even more surprising, as opposed to the Menorah, for example, which is made entirely of pure gold, the Aron is made of Acacia wood, and is only to be covered in gold- “וְצִפִּיתָ֤ אֹתוֹ֙ זָהָ֣ב טָה֔וֹר מִבַּ֥יִת וּמִח֖וּץ תְּצַפֶּ֑נּוּ”- significantly the gold covering, as opposed to the wood base, is created by Moshe (“ועשית”). 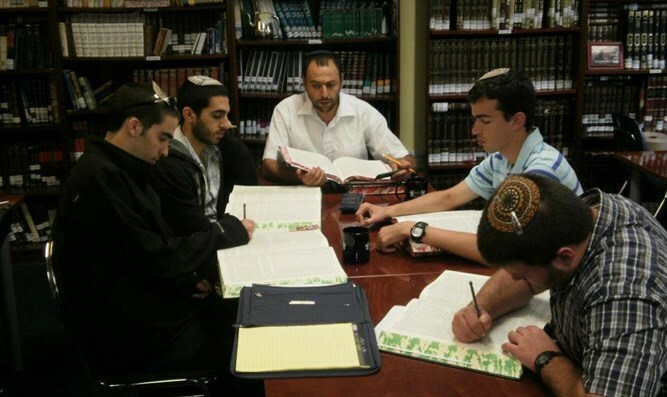 It seems that these two types of people, the Torah scholar (Moshe) and the people both have a part in the building of the Aron. Which begs the question: Where is the focus? Is the Torah for the masses or the elite? The answer of course is both, but the focus seems to be on the people, while the elite are there to serve the mass's needs. Judaism has always been about the actions of Am Yisrael as a whole. Many Halachot, customs, and even interpretations of the Torah are based on what the majority of people are doing, and there is a halachic principle to always try to look favorably on the Jewish nations actions. God judges the nation not by its tsaddikim, rather by the lowly people. The righteous are expected to elevate them with the Torah, to coat them with gold. Yet the base of the Aron is the wood, the gold is not substantial enough to stand alone. The Torah’s core is the people's actions, how Am Yisrael as a whole keeps the Mitzvot and does Hashem’s will. The people care about the Torah because it is theirs, and even though sections of it are hidden away and most of the nation can’t understand it, they know that they are at the center, they are the end goal and it is their actions that have effect on this world. When the Cohen Gadol goes into the Kodesh haKodeshim, he is asking forgiveness for the sins of the people, he is a servant to the nation and their deeds, for that is what matters. He and the sages are here to serve the people, to ask for forgiveness, to plate their actions in gold and nudge the people in the right direction due to their higher understanding. May we all act in bringing the redemption as quickly as possible! Cheruvim are used as symbols of protection in the Torah. The first reference in the Torah about Cheruvim is in Breishit 4:24, after Adam was kicked out of Gan Eden God put Cheruvim and a spinning sword to guard it. As opposed to the other vessels where it is written "ועשית" and you should write.